Schroon Lake; Maxine Davis Sharlan 97 passed away Monday July 23, 2018 in Queensbury, NY after an extended illness. Maxine was born July 20, 1921 in Devil's Lake, ND, the daughter of the late Harry and Emma Schuster Davis briefly lived Missoula, Montana and then spent her childhood in Canton, NY, where she graduated from St Lawrence University, where her father was a professor. She was predeceased by her husband Donald J. Sharlan and her brother Robert Davis. After marrying Donald in 1944, she got a Masters Equivalent Degree in NYC and spent her years on Staten Island as a first grade school teacher-which she loved-and then retired from the NYC Board of Education. Maxine and Donald retired to Schroon Lake in 1984 to live their dream of spending their retirement years in the Adirondacks, and found their dream home on Bullet Pond, converting their log home to a year-round residence from a summer camp. 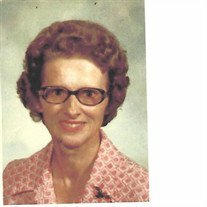 Maxine served as the clerk to the school board at Schroon Lake Central School for several years, volunteered at the Schroon Lake Library, and would often go to the Schroon Lake Elementary School to play the piano for students in the early grades. Music was one of Maine's passions, and she was able to play almost any instrument by ear-no need for sheet music. She is survived by her daughter Barbara of Queensbury, her sister-in-law Mary Davis of Lake Luzerne her sister-in-law Joyce Sharlan of Malone, NY, nephews Jeff Davis of Lake Luzerne and Randy Davis of Hannacroix, NY her nieces Joan Russell of Florida and Carol Williams of Bombay, NY and numerous great nephews and nieces. A Funeral Mass will be celebrated Friday morning July27, 2018 at 11:00 AM at Our Lady of Lourdes Catholic Church in Schroon Lake interment will follow at Our Lady of Lourdes Catholic Cemetery. Funeral arrangements are under the direction of the Edward L. Kelly Funeral Home 1019 US Rt. 9 Schroon Lake, NY.